It would be wrong to visit and not sampling the cultural highlights of Poland’s capital city. Here you’ll find a comprehensive list of tours and short day trips with which to keep you entertained. 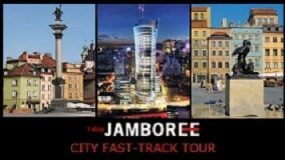 When you see a tour you like, click “Add to basket” to include it in your Warsaw Jamboree. A unique Warsaw City tour, which shows Warsaw’s top attractions. 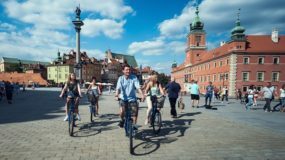 A bike city tours offers a fun way to see Warsaw that incorporates a little fitness into your day. Kazimierz Dolny, Lublin city and Majdanek museum in one tour, it can only be the best of South East Poland tour. A picturesque tour that visits the elegant and beautiful surroundings sites of the Warsaw. A super tour designed for fans to learn about the history of the Polish legend Frederic Chopin.